Derived from the Whiplash-TB. The Beach Buggy is more of an “every-mans” high performance shortboard. Used by many WT and Qualifying Series competitors, because it works equally well in small junk surf. This is the board that TB used to win the Hurley Pro, at Lower Trestles, in 2013, but has been refined and updated slightly over the last year. The 2015 version features TB’s hyper extended tail rocker (for tight radius arcs off the back foot) but a significantly more relaxed entry and central rocker, which combined with a wider nose allows for more drive and forward momentum, and stability, with a bigger landing platform from reverse and tweaked airs. A wider hip and tail block is added to the outline in the tail for more lift at low speeds, but the tail width at 12” is relatively the same as the WL- TB. 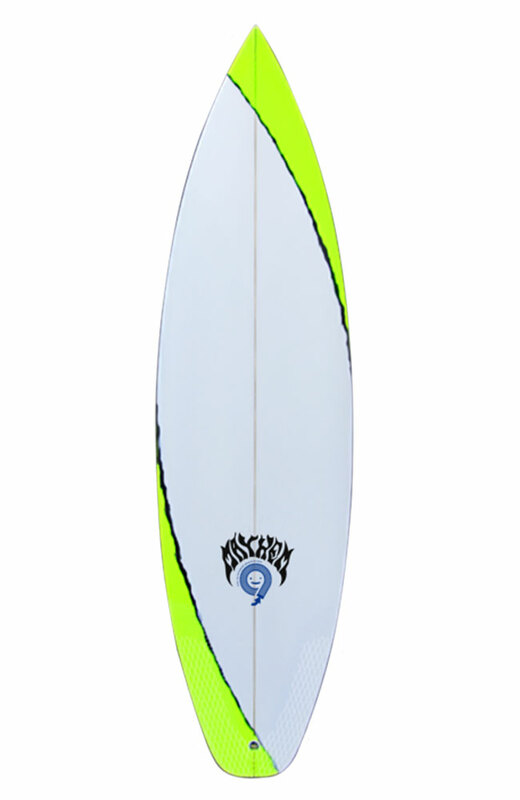 This allows for superior precision and control than most al other “grovel” boards. With the centerline and rail volume is carried farther into the rails….and out to nose and tail the Beach Buggy is designed to be ridden 1-2” shorter than the WHIPLASH-TB. In the right size, this is a HP shortboard that can be ridden and enjoyed by most surfers of average to above average ability…not just for skinny kids and pros. TAJ vs TRESTLES from Lost Video Productions on Vimeo.